Abigail Hoffman broke down gender and amateur athletics barriers by becoming a runner champion and sport advocate. In 1956, when she was nine, Hoffman cut her hair short to play on a boy’s hockey team. When her team made it to the playoffs and the players were required to show their birth certificates, her secret was discovered. Hoffman moved from hockey to track and field and won the gold medal in the 800-metre event at the 1963 Pan American Games at the age of 16. 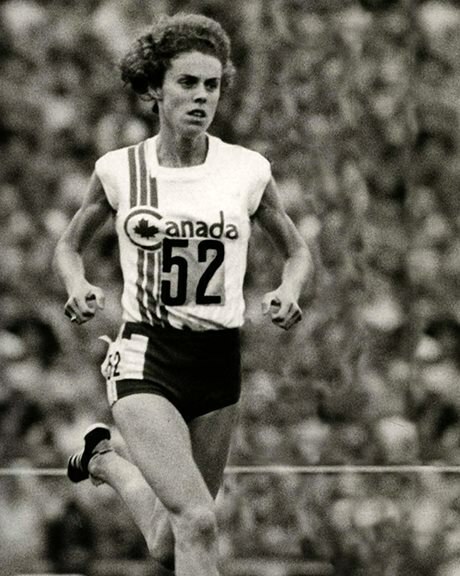 She also ran in the Olympics in 1964, 1968, 1972 and 1976, and was chosen as the flag bearer for the Canadian team in 1976. After retiring from competitive running, Hoffman was the first woman to serve as the Director General, Sport Canada in 1981, and the first elected to the executive council of the International Amateur Athletic Federation. Listen to an interview with Abby Hoffman from the CBC Digital Archives – from February 23, 1962 – as she talks about disguising as a boy to play hockey. Learn more about Abby Hoffman on Library and Archives Canada’s Celebrating Women’s Achievements page. Read an article from the Torontoist on Abby Hoffman, with early photographs of her playing hockey.